Extraction Magazine is the trusted provider of botanical extraction news, ever-changing politics, cool gadgets and technologies, and methods for producing safe, ethical, and compliant formulations. 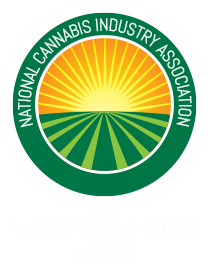 With an emphasis on cannabis extraction and an infusion of culture, we pride ourselves on creating a relevant, educational, and yet fun to read, digital and print news source that reaches the globally growing number of people turning to cannabis for work, fellowship, insight, healing, relaxation, or just an overall restoration of balance. Cannabis extracts and concentrates have become one of the most-rapidly evolving industries that the world has likely seen in some time. The regulations and laws evolve nearly as quickly as the technical jargon. In addition to weekly blog posts that keep our readers educated on the latest in the concentrate community, our bimonthly print and digital magazine extracts the essence of the industry through the eyes and expertise of many of the industry’s best and brightest. We’re excited to stand alone in this publishing space as the only news source on the frontier, reporting what the horizon looks like for this crucial space in the legal cannabis market. Look for Extraction Magazine in a store near you, or subscribe here.